Is it story time? Music time? Why not both! 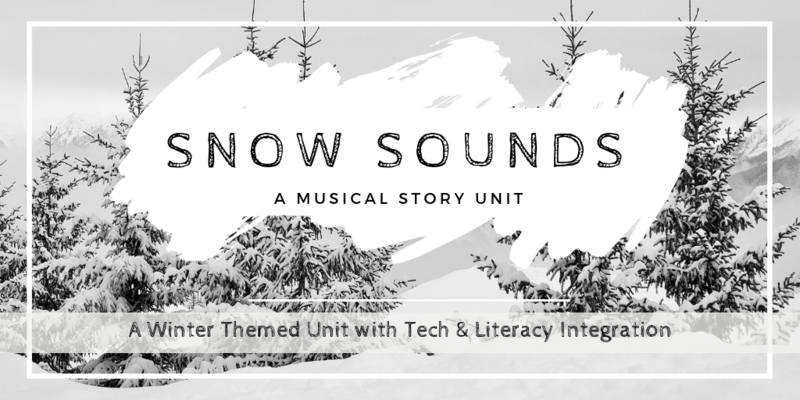 During this fun and engaging seasonal unit, students will enjoy listening to and creating their own winter sounds. With fun activities such as: a Winter Bingo listening game, a read-aloud picture book, and a DIY create your sounds project! An interdisciplinary unit that allows students to learn about the concepts of improvisation and onomatopoeia, all while creating music. Picture this, it’s mid-January, you haven’t seen the sun (or above zero temperatures) for weeks, and to top it off the students have had indoor recess for a month. Everyone is feeling tired of the same old routines in the classroom, including you! I always struggle to maintain control during these dark winter months, in part because of the weather, but also in part due to lesson fatigue. It’s a long stretch of weeks with out a holiday (or break) to relieve the monotony of your daily routines. So, step outside your comfort zone, stretch what you think is possible in your classroom, and have a little fun. For any self contained elementary teacher, music teacher, or reading specialist I think this unit would be a great fit. Music is such a flexible and adaptable medium and has the power to reach all your learners, engaging them in different ways. I’ve written about arts integration and it’s impact, and one of the biggest part is that makes learning fun! A few weeks ago I wrote about Why Arts Standards Matter, and one in particular I always have trouble hitting is improvisation. Important to be sure, but who has time and space to just let their students create? (psssst YOU DO!) I wanted students to improvise music & sounds, but needed to provide a context for them to do so. 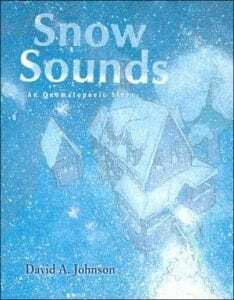 I looked for books that have a lot of sounds in them (I’ve done this before with Spring) and found the perfect companion text in the book Snow Sounds. This is wordless picture book that focuses on art and music, it’s an early morning journey to school on a snowy day that is supposed to introduce the concept of onomatopoeia, but can also be used to introduce improvisation. I make up the words as I read the story to the students, and then I print copies for them to look at and create their own words to tell the story. Once we’ve done that I’ll have students collaboratively tell the story, always ended the pages with the phrase, “….which sounded like.” I’ll re-read the story with the students and give them instruments. I use rhythm sticks because I have a lot of them but feel free to use whatever (two pencils if you don’t have any.) As we go through the story they use the sticks to make the sounds of the machines and their voices to make the sound of everything else. What is Keezy? It is simply a voice recorder than allow you to have up to 8 recorded sounds at once, and replaying them simply by clicking the corresponding square. It’s such a simple and intuitive app that I’ve found a dozen different ways to work it into my class. I’ll usually introduce Keezy (if time permits) by giving students 5 – 10 minutes to simply explore on the app, its pretty fun! Next, we will use instruments and their voices to create sounds for the story. Just like we did yesterday, only this time you’ll record the sound and play them back later when you read the story. I usually partner students up and say each one has to make 4 sounds. Then put two or 3 large bins in the room that students can take instruments from (my rule is one per person – cant get a new one until you put the old one back) Also print out a small copy of the book (I usually do 2 copies per page – so each booklet is about ½ piece of paper)I give students 10 minutes to work, but depending on the age they might need more time. Once everyone has finished then match partners with another partner (for a group of 4) Group 1 will tell their story first and play they sounds while group 2 listens, and then they switch (group 2 talks while 1 listens) Since they book contains no words it perfect for students of any age or reading level. This activity will expand to fill what ever time frame you need as students could always use more work time, or you can have them switch and share their story with a new group.